Insider sources told The Telegraph Google has its own people working on the hardware and software for the new smartphone, and the company plans to release its self-branded device later this year. The company doesn’t, however, plan to abandon its partnership with Nexus phone makers. Google is reportedly trying to address the fragmented mess that Android has become across phone makers and carriers, and take back some control over the platform. That was part of the plan with Google’s Nexus smartphones, so now the company will have two product lines to target fragmentation—which sounds a little bit like fragmentation, too. Google recently re-hired Rick Osterloh, formerly Motorola’s president, to oversee hardware development for the company’s Nexus and OEM hardware deals, and it’s possible he’s heading up the in-house smartphone project, too. Jumping into end-to-end smartphone development gives Google complete control over the hardware and software design—something that’s worked amazingly well for Apple. For Google, it could pan out well, too, considering Android’s popularity. On the other hand, Google could be fragmenting the Android market even more by creating confusion surrounding its Nexus and in-house smartphone products. 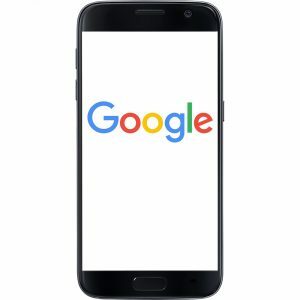 Either way, it looks like Google will have a new phone on the market this fall and the markert it’ll likely draw more customers from other Android device makers, making it more of a Samsung competitor than an Apple competitor. I’m sorry. Did I miss something? Didn’t Google buy and then sell a company that made their own smartphones? Now they want to hire the guy that ran that company to, uh, make their own smartphones? If Google were a person, it would be on disability, from being schizophrenic. No wonder they formed Alphabet, they were losing control of their various personalities. Google may have partnered with other companies to make the Nexus models but I bet they controlled every aspect, I see this new line up changing nothing and doing nothing new. Bullwinkle: Hey Rocky, watch me pull a rabbit outta my hat! While I wish Google better success than the moose, the Android hardware market sits atop a graveyard of failed attempts, surrounded by a moat full of cheap bottom-dwelling handsets. Methinks from Seoul I can discern groans of consternation and misgivings.